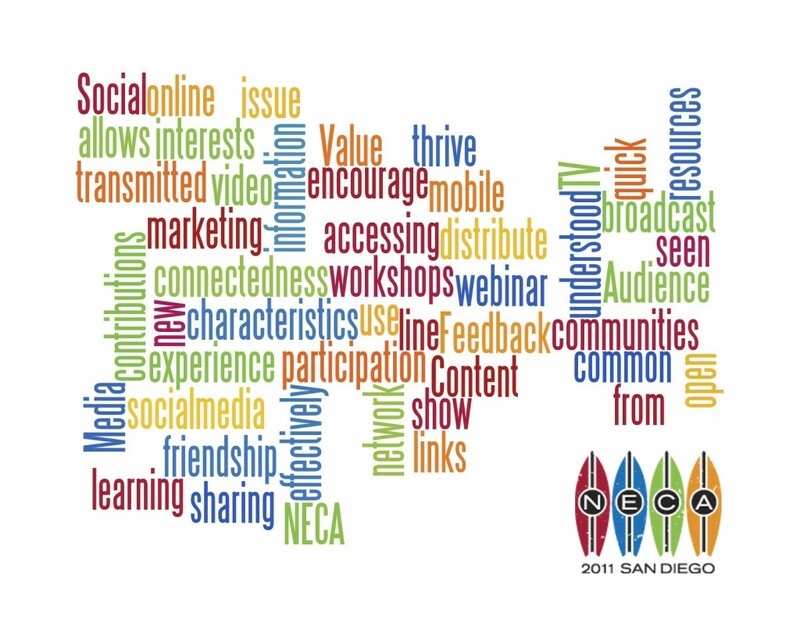 I’m Beth Margulies, NECA’s communications director, and I’ll be live-blogging NECA 2011 San Diego this week. Today was NECA first-ever Energy Forum, and it was non-stop action. If you’re using social media (and who isn’t these days?) 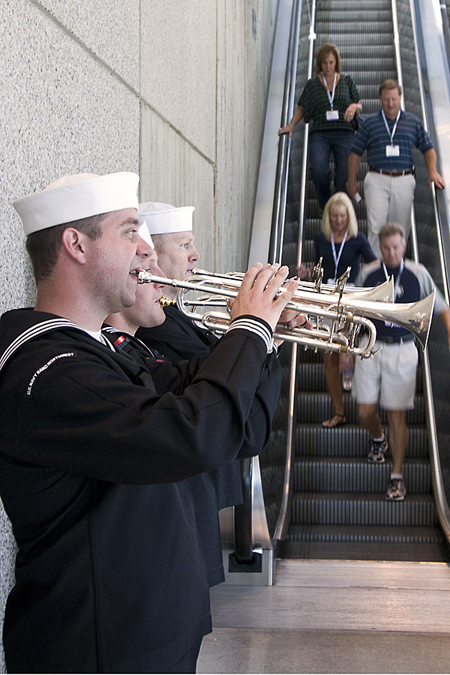 and you want to connect with fellow attendees and vendors – follow all the action by becoming and fan, liking wall posts and tagging photos at facebook.com/necaconvention. 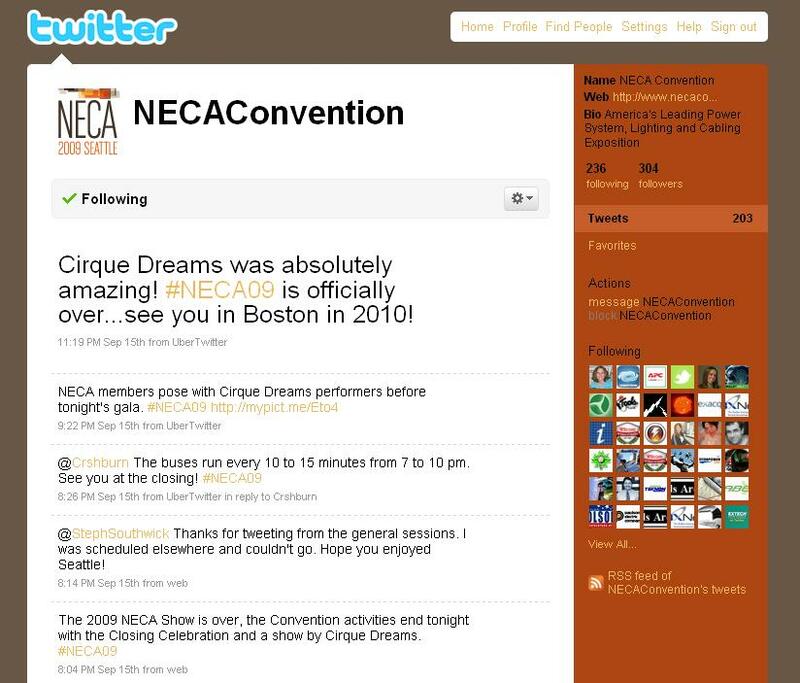 People who prefer to communicate in 140 characters can get short updated on Twitter – @necanet and @necaconvention. Mark your tweets from San Diego with the hastag #NECA11 and watch them scroll on the Social Media Wall on the NECA Show floor. You can also catch up on event recaps and photos from our blog on the Social Media Wall, too. And of course, feel free to leave your comments and links on this blog, too. Thanks so much to everyone who’s joined us here in San Diego. Your support of this event means a lot to our industry and NECA, and I hope you’re looking forward to everything we have planned. You can tune into our daily NECA Newscast from San Diego broadcast of events on your hotel television, but nothing beats getting out there yourself. So, enjoy the San Diego sunshine, and I’ll see you at the convention center! To those who couldn’t make it here, we’ll try to bring as much of the action to you right here!